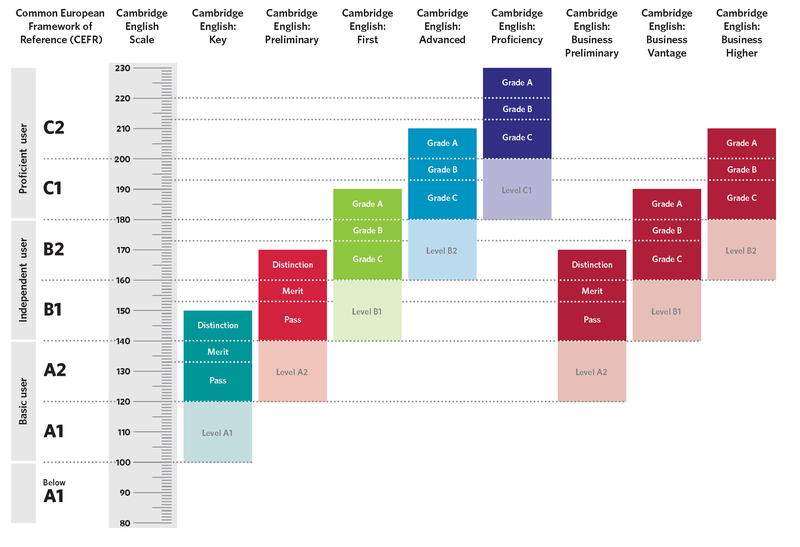 Cambridge: Starters, Movers, Flyers, KET for school /adults, PET, FCE (First Certificate in English), CAE (Certificate in Advanced English), CPE (Certificate of Proficiency in English). EOI (Marco Común europeo), A1, A2, B1, B2, C1, C2. TOEFL (Test of English as a Foreign Languages). TOEIC (Test of English in International Communication).